Women seeking a tighter, more toned figure, may decide to turn towards surgery to help attain the physique that dieting and exercise alone cannot achieve. Dr. Rolando Morales, Houston, TX plastic surgeon, is able to create a silhouette that is firmer and smoother by using body contouring procedures to tighten loose skin, and facial fillers where volume has been lost. For women who have lost weight and are getting back into a fitness routine, these procedures can help provide a jump-start towards a toned, new figure. 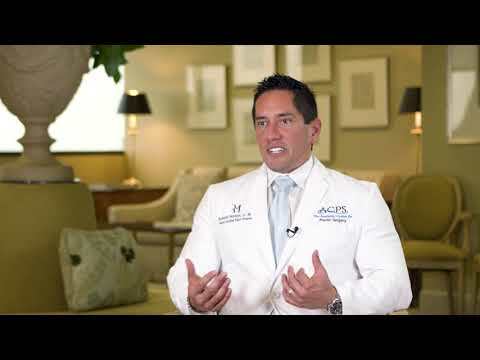 Dr. Morales is well known in the Houston fitness community of gyms and trainers. As a competitive physique athlete himself, he understands the dedication and commitment it takes to improve your body. It is common for athletes to desire “fine tuning” of their bodies with breast volume restoration using breast augmentation, or the removal of stubborn areas of loose skin. Many athletes have had previous procedures, and may require revision procedures to restore their physique to a more natural appearance. Whether you need a single procedure or a combination of procedures, such as a breast lift and augmentation, or a tummy tuck, Dr. Morales has the eye of an artist and the gift of a skilled surgeon to turn your vision into stunning, natural-looking results. Breast augmentation is one of the most common cosmetic surgery procedures. It is especially common for women who have lost breast volume due to weight loss, but is especially desired by women who have lost volume due to weight training. It is a surgery that creates a fuller, shapelier breast, and for women who weight train, it ensures that the breasts stay full, while other areas of the body become lean. Liposuction is a fat removal procedure that creates slimming results. Women, in particular, often find themselves battling isolated pockets of fat that remain on the thighs, hips and tummy even after fulfilling a dedicated exercise and diet program. Liposuction can remove these fat deposits and create the slimming look to jump-start a woman’s fitness regime. Crunches, planks and sit-ups can be done daily, over and over again, but for some women it will not be enough to create the toned abdomen they desire. Because of weight loss, pregnancy and age, loose skin can reside in the abdomen. Abdominoplasty (also known as a tummy tuck surgery) can remove this loose skin, while tightening the abdominal muscles. The result is a firm, more toned stomach, which results in added self-confidence, allowing women to reach their fitness goals. When women lose weight or embark on a serious training regime, not only is the body affected, but often, the face is as well. Weight loss and weight training can create a natural loss of volume in the face, including the cheeks, under the eyes, lips, and around the mouth. Injectable facial fillers are a great way to restore this lost volume, resulting in a smoother, fuller facial appearance. Dr. Morales offers a number of filler options depending on the volume needed and the aesthetic goals of the patient. Women who take care of their bodies with a healthy diet and fitness program, want to look and feel good all over, not just from the neck down. BOTOX can create a “glowing” facial appearance, and help complement the figure you have worked hard to attain. BOTOX is a common injectable that relaxes the muscles under the skin so that surface winkles become softer in appearance. It is a common injection for the forehead and around the eyes.